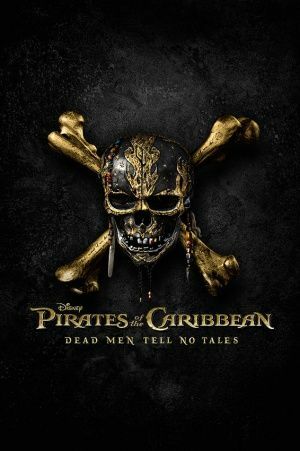 Film after film, Disney proves that the tale of Jack Sparrow really should have only ever been a one film trip. Johnny Depp's shtick gets more and more tired. Pirate hi-jinks become less and less fun. The magic that was there for the first film, which took us all by surprise and remains a light, fun, and entertaining adventure, has been sapped by endless repeating themes, trotting out the same tropes and jokes, and a lack of any real chemistry between the audience and the characters. Johnny Depp and his most famous character have pretty much become caricatures of themselves. It just really isn't fun to watch him do this any more. Thank God he only says "savvy" once (that I noticed) as some of the other films have it as every second word and it makes you want to throw your drink at the screen if he says it one more time. There are film series where seeing characters return, characters we have a connection to, can be a joyful thing. But this series suffers from trying to strangle out a legacy when there isn't enough there to sustain it. Without spoiling the end, the film creates some real closure for the series' longest running characters but the question remains, do we care? It's hard to work up any emotion over the folks in this series. And the new characters fare even less well. Speaking of a lack of chemistry, new youngsters Brenton Thwaites and Kaya Scodelario are as vanilla and soulless as possible. Javiar Bardem's villain suffers from not only bad CGI but a lack of any the kind of good one liners any scenary chewing villain needs to really earn his keep. To be fair Dead Men Tell No Tales really isn't that bad. It has a passable (if entirely uninteresting) story and it's plotted well enough. There really isn't anything technically wrong with the film. The big question is will anyone care? Does anyone walk around invested in the adventures of Will Turner's long lost son or wish for more of Johnny Depp's drunken ramblings? It just doesn't feel like any of this is relevant any longer. There is no life is Dead Men and with the very fitting ending for all the the characters, perhaps this is truly the best place to leave a series that no one, other than the bankers, really cares about sailing off into the sunset.